The state of Alabama has played a role in some of the most significant court cases in the United States. Many of the cases that reached the U.S. Supreme Court changed the American political and cultural landscape and expanded civil and legal rights. 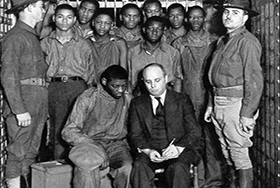 The majority of these cases trace their origins to Alabama citizens asserting their civil rights and fighting for equitable and adequate funding for public social services such as education and mental health care.